whoo hoo - Marte HR, Pirates up 2-1. They're settin' us up for a run. Take advantage of it boyz. This Suzuki. More like a Kawasaki. This offense is doing a hell of a job at killing the crowd. Shades of 2011 Werth there. BOOOOOO!!! 2011 Jayson Werth. didn't even swing the freaking bat!!! Are we really counting on the Bucs? I'm thinking it was more a selective group of posters that created that problem. If this was Cliff Lee or Cole Hamels against us right now then I could somewhat understand what the offense is doing right now. But this is KYLE KENDRICK. You spelled Hole Camels wrong. At least it's only 2-0. I swear it feels like 7-0 game as flat as the Nats look. Craig Stammen flourishing. Offense has GOT to pick it up though. pitching has settled down. 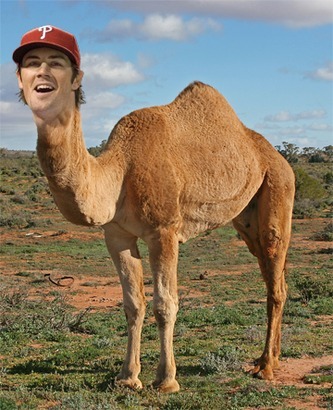 Great inning from Stammen. Man, even John Lannan has been pitching up to snuff this game. Offense needs to do some damn work. We have to score against Kendrick here because we know we aren't doing jack crap vs their bullpen and Papelbon. I'm sorry, but that BS. It's the number of wins at the end of the season that counts. By your logic, they are relying on us to lose. That looks better, right?